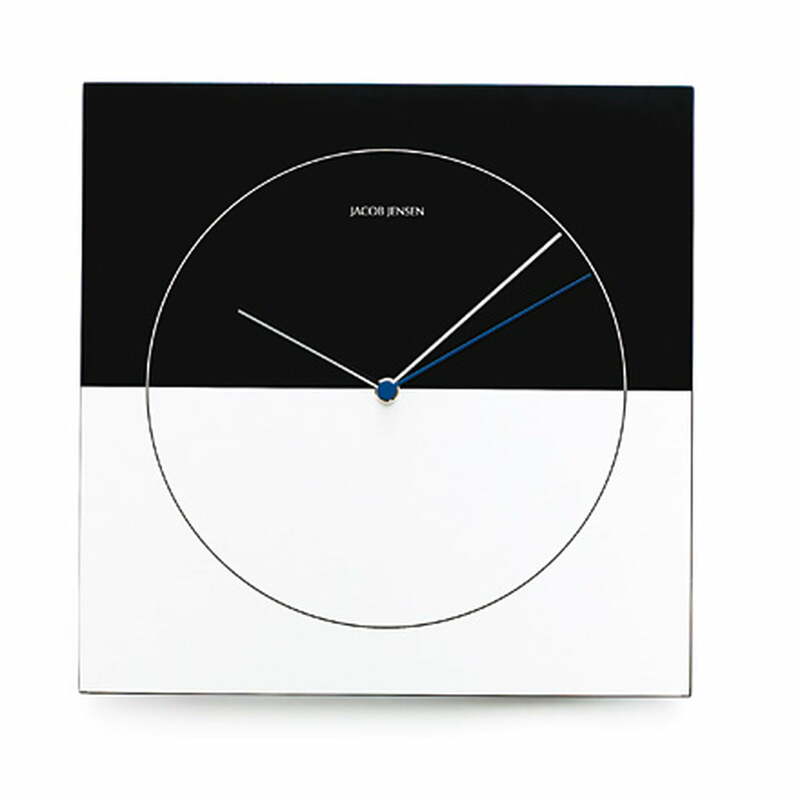 In 1988 was the first Jacob Jensen collection „Classic Clocks“ established. 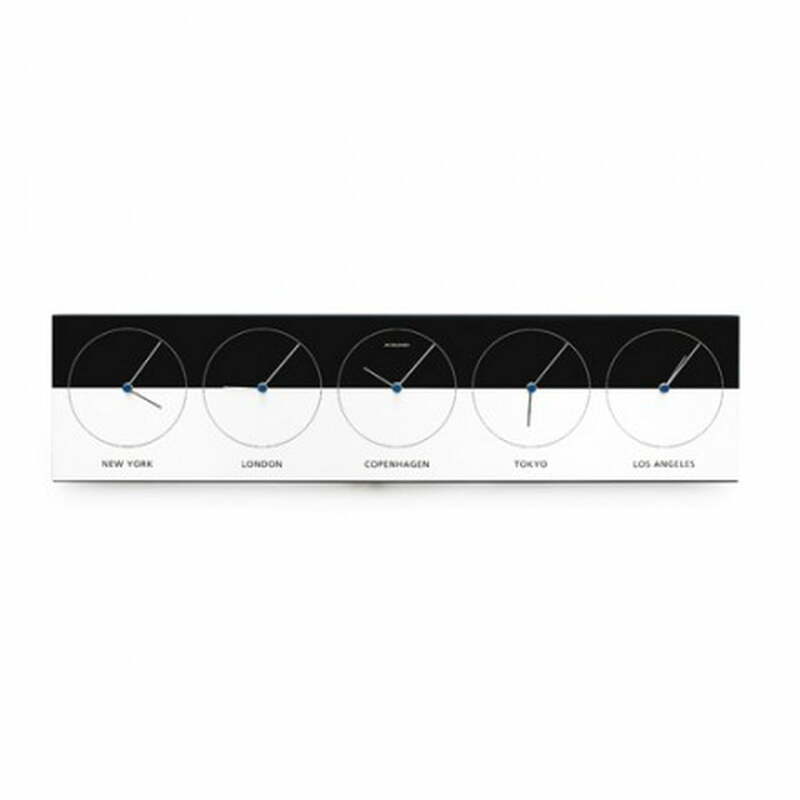 The design of the wall clocks is based on the classic Jacob Jensen watches and they have all the typical elements of the Jensen designs: Even surface, clear lines and sharp divided, black and silver colour fields. In 2004 followed a relaunch of the famous wall clock. Two products were remade: The wall clock Nr. 315 and the world time clock Nr. 316. Just like their popular precursor were the new products with the highest carefulness created. The world time clock has 5 clockworks which are inserted into an even aluminium plate. The clockworks are factory adjusted that the time of five different metropolises are shown. Like the original have the new clocks also two-coloured dials and two-coloured needles. Charming effect: When the needles move from the black to the aluminium-coloured area, does it seem like they are changing colours. Material: brushed aluminium and hardwood with quartz clockwork. The Classic World Timer Nr. 316 is also available.